Category B infectious substances are infectious but do not meet the criteria for Category A (i.e., they are not capable of causing permanent disability, life-threatening, or fatal disease when exposed to humans or animals). This page provides general guidelines for packaging Category B infectious substances; please consult the IATA website for additional information. 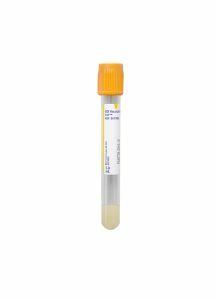 • Category B infectious substances must be triple packaged in a watertight primary specimen receptacle, watertight secondary packaging, and outer packaging strong enough to pass a 9 m drop test and 7 kg puncture test. • Primary and secondary packaging must be 95 kPa compliant (rated to withstand an internal pressure differential of 95 kilopascals). • Vacuum-filled receptacles (e.g, blood tubes) generally meet 95 kPa; however, check with the manufacturer to ensure that they meet the requirement. • Flexible secondary packaging is generally labeled “95 kPa” by the manufacturer. • For rigid containers, check manufacturer’s website or product inserts to ensure compliance. • The total maximum quantity for a package containing Category B infectious substances is 4 L (liquids) or 4 kg (solids). 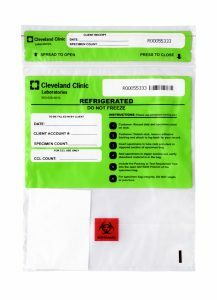 Place each sample in a 95 kPa-tested specimen receptacle that does not allow liquids or solids to leak out (i.e., leak-proof and sift-proof). • Leave an air space in specimen receptacles containing liquids, such as urine containers. Note: Using a vacuum-filled tube ensures the presence of an air space. • Maximum quantity for a primary receptacle is 500 ml or 500 g.
Place the primary specimen receptacle inside another 95 kPa-tested container (either flexible or rigid) that is also leak-proof and sift-proof. • For liquid specimens, also add enough absorbent material in the secondary packaging to absorb the total volume of liquid being placed in it. • If more than one primary receptacle is being placed in the secondary packaging, use bubble wrap or other material for cushioning between the receptacles. • If secondary packaging is not pre-labeled, add an international biohazard label to the secondary packaging. • Liquids: 1 L per secondary packaging. Multiple secondary packaging in the same outer packaging is allowed, but maximum quantity of total liquid allowed in the entire package is 4 L.
• Solids: 4 kg per secondary packaging, which is also the maximum quantity of total solid allowed in the entire package. Place the secondary packaging(s) inside a rigid outer packaging. • At least one surface of the outer packaging must be 4 × 4 inches. • The outer packaging must be large enough to hold the secondary packaging(s) and properly display the required outer packaging markings and transport documents, such as the shipping label. • If you are reusing a box, please remove or obscure any old labels from previous uses. 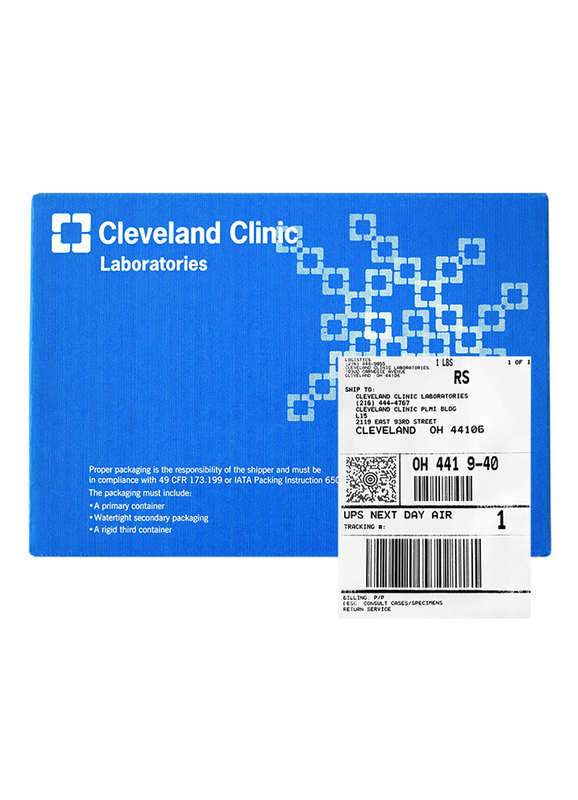 Place a completed Cleveland Clinic Laboratories Test Requisition in the outer packaging. Be sure that the requisition is placed outside of any secondary packaging. 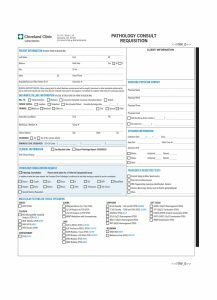 View a full list of our downloadable requisitions, or order them directly from our Supply Storefront. Requisitions ordered from the Storefront are printed in duplicate, and can be ordered in sets of 25. 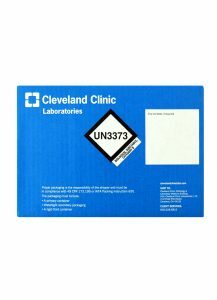 Place the markings for a Category B infectious substance, as shown below, on the outer packaging. Pre-labeled outer packaging can be ordered online through our Supply Storefront, or category b substance labels can be purchased from multiple vendors. • The sides of the diamond shape must be at least 50 mm in length and at least 2 mm thick. • The height of the letters and numbers of the marking must be at least 6 mm. Include the name and phone number (including area code) of an emergency contact from your facility on the outer packaging. This information can be provided as part of the return address or as a separate package notation. This designated emergency contact person is accepting responsibility to be available during the normal business hours of your facility to provide accident mitigation information in case the package is damaged or the specimen leaks during transit. 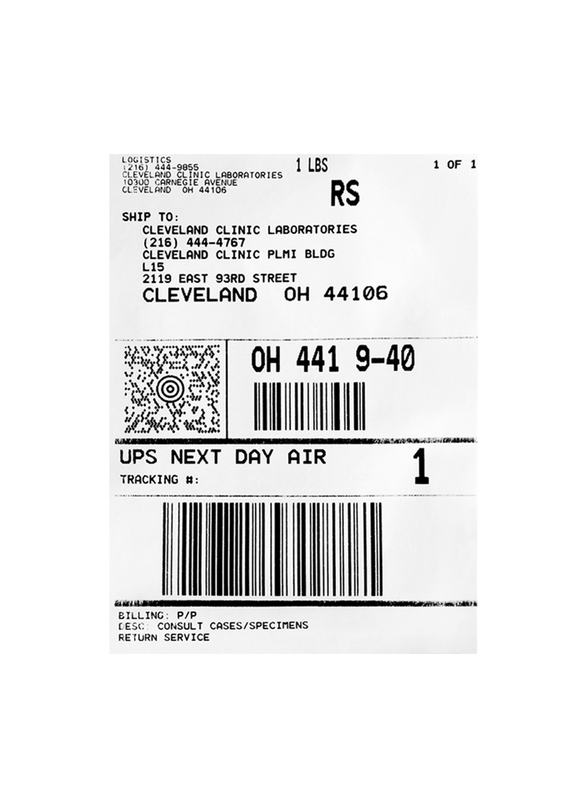 Complete a shipping label with the required information. Attach the completed label to the outer packaging according to the guidelines of the carrier being used for shipping. Completed packages must be capable of successfully passing a drop test described in the regulatory documents DOT Hazardous Materials Regulations and IATA Dangerous Goods Regulations. Packaging meeting these requirements can be ordered online through our Supply Storefront, or can be purchased from multiple vendors. All applicable laws of the United States Department of Transportation must be complied with when shipping any type of specimen. • Ground transportation: Specimens via ground transportation can be shipped using the Code of Federal Regulations (CFR) Title 49. • Air transportation: When shipping via air transportation, there are more detailed instructions found in the International Civil Aviation Organization (ICAO) technical instructions, or the more commonly used International Air Transport Association (IATA) regulations. Either set of regulations is compliant with the Federal Aviation Administration (FAA). 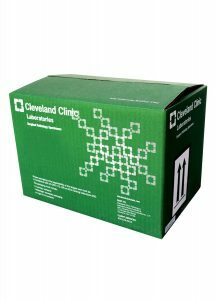 Cleveland Clinic Laboratories offers online courses for those in need of training and certification in specimen transportation. Please contact your account representative for more information.